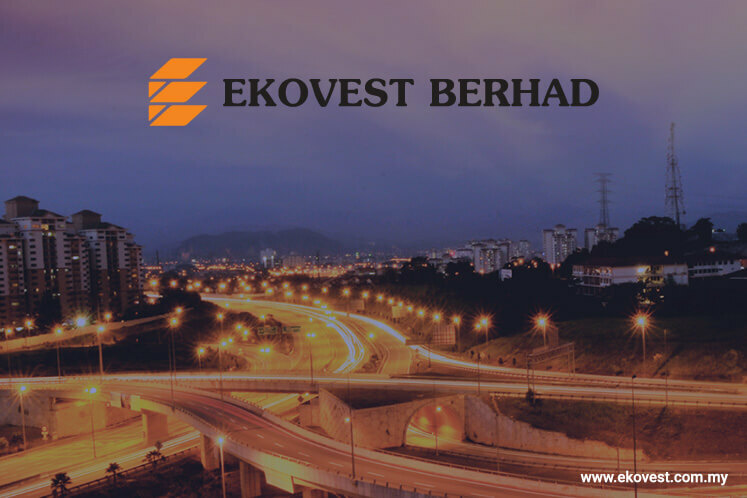 KUALA LUMPUR (May 4): Ekovest Bhd, a construction firm which has a common major shareholder with Iskandar Waterfront Holdings Sdn Bhd (IWH), saw its share price opened 42 sen or 29.37% lower at RM1.01 this morning. As at noon, the counter pared some losses to trade at RM1.19, down 24 sen or 17%, with some 167.7 million shares changing hands. The selling is mainly due to the spillover effect from the termination of the 60% stake sale in Bandar Malaysia project to the joint venture IWH CREC Sdn Bhd. IWH CREC is a 60:40 joint-venture (JV) between IWH and China Railway Engineering Corp (M) Sdn Bhd (CREC). IWH, which owns a 60% equity interest in the joint venture (JV), is the flagship of property tycoon Tan Sri Lim Kang Hoo, who also controls a 32% stake in Ekovest. As the JV lost the deal to acquire a controlling 60% stake in Bandar Malaysia project, which owns massive prime tract on the former airforce base near Sungai Besi that is less than 15km from KL Sentral and Petronas Twin Tower, it also raise uncertainties on Ekovest's concessionaire for the Setiawangsa — Pantai Expressway (formerly known as the DUKE Phase-3) that will connect to Bandar Malaysia. According to DUKE's website, the 29.8km expressway will traverse north to south of Kuala Lumpur and will serve areas such as University Tunku Abdul Rahman, Wangsa Maju, Setiawangsa, Ampang, the Tun Razak Exchage and Bandar Malaysia development corridor and Kerinchi. Ekovest's share price has been climbing since beginning of the year from 96 sen on Jan 3, after IWH CREC Sdn Bhd signed a share sale agreement end of last year to buy a 60% stake in Bandar Malaysia for RM7.41 billion. Year to date, Ekovests shares has appreciated almost 50% to close at RM1.43 yesterday. In February, Ekovest completed the disposal of 40% equity interest held in Konsortium Lebuhraya Utara-Timur (KL) Sdn Bhd (Kesturi) to the Employees Provident Fund Board (EPF) for RM1.13 billion cash. Kesturi is the concessionaire of Duta-Ulu Kelang Expressway (DUKE), a 34km highway comprising two phases, with a concession period of 54 years. It was previously an indirect wholly-owned unit of Ekovest. Upon completion of the stake sale, Ekovest is left with a 60% stake in Kesturi. Yesterday, Ministry of Finance-owned TRX City Sdn Bhd announced that the share sale agreement it had inked with IWH CREC Sdn Bhd in December 2015 had lapsed "despite repeated extensions being granted, making the agreement null and void with immediate effect". TRX City had said it is immediately inviting expressions of interest for the role of master developer of Bandar Malaysia, with full ownership being preserved by the Ministry of Finance.